Telford & Wrekin Council’s Community Events Grant is set to support 43 communities to come together and organise their own events. The total value of applications received was over £70,000, exceeding the £50,000 that the Council has put aside for these community-led events. Full details of successful applicants will soon be available in this section, once all groups have accepted the grants’ conditions. If you have a great idea for a community event, you can apply for funding. 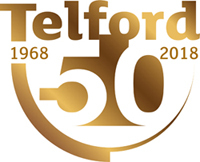 2018 was a fantastic year of communities coming together to celebrate Telford’s 50th birthday with the Telford @ 50 Celebration Grant. Events across the year highlighted the incredible community spirit that exists across the Borough and were a great celebration of the Borough, its people, history, present and future. In recognition of the positive impact these community events have had, a total of £50,000 of funding is now available to help communities hold community events during 2019/20. Communities are encouraged to think about how they can come together and are invited to apply to our Community Events Grant to help make this happen. If you’re a community/voluntary group, a neighbourhood group, faith group, charity, other not for profit organisation, Town or Parish Council, a school, a business or an individual this grant might be of interest to you. Events must be open, allowing the whole community to get involved. You can apply for up to £2,000 to contribute to the costs of your community event, this page contains all the documents you need to find out more about the grant and submit your application. Please ensure you read the document about the grant before completing your application form, it will help you to understand what you can apply for and will improve your chances of success. Applications for this funding will close on Monday 25 February 2019 at 9.30am. All applicants will be informed of the outcome of their application by Friday 15 March 2019. What is the background of the grant? What is the value of the grant I can apply for?